Carsaig in Brig o’Turk, near Callander sleeps 6 people. 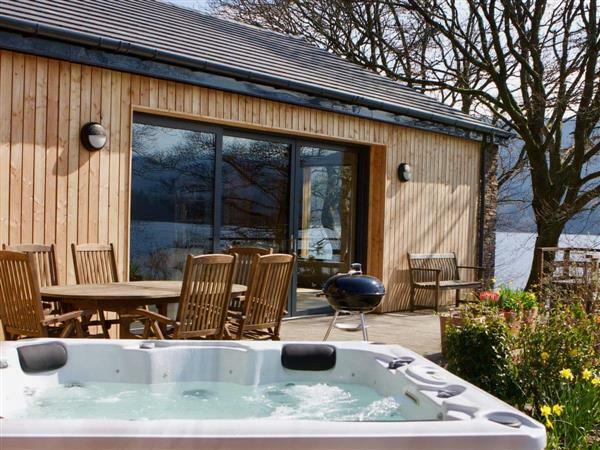 Carsaig is an immaculately-presented, detached holiday cottage in an unrivalled setting on the shore of Loch Venacher in the heart of the Trossachs National Park. 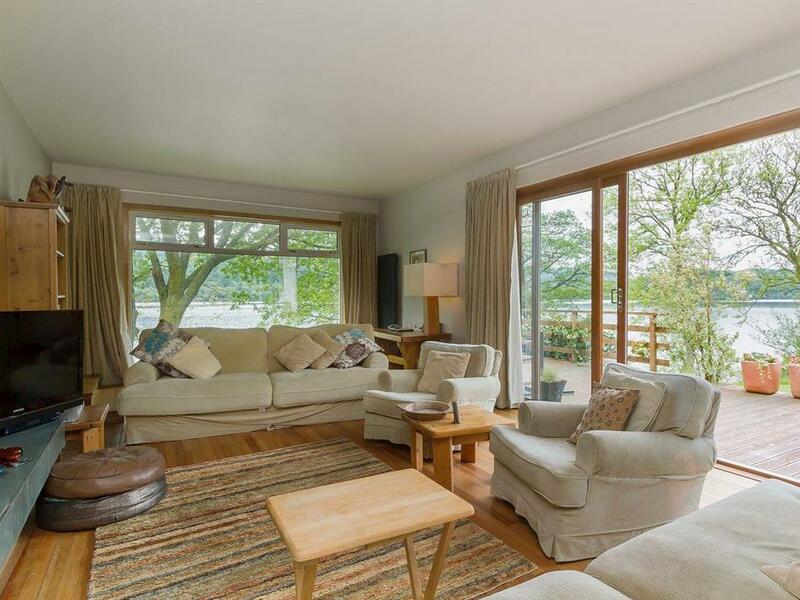 Carsaig near Callander is set in 3 acres of grounds which lead down to a private loch-side beach and jetty with fantastic views across the loch and the surrounding hillside and Trossachs. Carsaig offers spacious and cosy accommodation and makes a wonderful base from which to venture out with friends and family to enjoy the area and all it has to offer. Guests are welcome to bring their own unpowered craft which can be launched from the beach. Fishing for brown trout and pike is available in the pristine loch water from the jetty, and tuition and ghillies’ services are available from the harbour café just a short walk from the cottage. Wildlife is abundant including red squirrels, red kites and ospreys as well as local birds which are frequent visitors. There are endless miles of forest roads, cycle tracks and footpaths through woodlands and around the loch. For the more adventurous, there are hills and mountains to climb such as Ben Ledi, Ben Venue and Ben A’an. This area is ideal for golfing with several local courses close by, and the famous Gleneagles course is only 40 minutes’ drive. The bustling Highland town of Callander, with a variety of quaint shops, tearooms, restaurant and bars, is only 5 minutes’ drive and ideal for sourcing supplies. After exploring the local area, unwind in the hot tub or relax on the decking with a glass of wine and enjoy the scenery. Within an easy drive is Stirling, 30 minutes, whilst Glasgow, Edinburgh and Perth are 1½ hours. The shop is 4 miles, with the pub 2 miles, and the restaurant 100 yards from Carsaig near Callander. For a better idea of where Carsaig is, you can see Carsaig on the map below. Carsaig is in Perthshire; should you be on the lookout for a special offer, you can find all the special offers in Perthshire. It's always worth checking to see what is on offer at the moment. Do you want to holiday near Carsaig (SZZP), you can see other cottages within 25 miles of Carsaig; have a look to find your perfect holiday location.